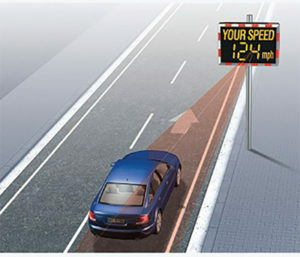 via traffic controlling GmbH offers speed display panels, high performance radar technology and traffic data capture solutions together with the associated software for various applications in road traffic. As an expert of radar systems & the collection of traffic statistics the company provides sustainable and valid data on traffic volumes. The displays and measuring equipment are produced in accordance with strict guidelines and European quality standards. The product portfolio covers speed displays, dialogue display, LED traffic sign, speed monitoring, radar detectors, traffic counters, evaluation software, accessories, interfaces, power supply, mounting kit, design and transport gadgets. The customers include cities & municipalities, companies, private initiatives, schools, associations, ports, airports, private and public bodies etc. Whether it is for speed monitoring, traffic-calming in urban environments or automatic traffic counting – via traffic controlling plan and develop customized solutions for a wide range of requirements in road traffic in Asia, Europe, North & South America and Africa. • Company premises, customer parking areas, public parking, car park for employees, construction sites.